I imagine that from the numerous helicopters that have been flying overhead that the town looks badly wounded, but not fatally destroyed. However, because some of the roofs have remained intact they mask the damage that lies beneath. Getting to Barpak did not used to be too difficult (in Nepalese terms!). A three or four hour long and bumpy drive from Gorkha (the town responsible for giving the name to the Brigade that has served the British Crown for 200 years this year; the Gurkhas). Now, however, the road is damaged by land-slide and impassable by vehicle, so the last part of the journey is an arduous and exhausting four hour climb – and it’s steep. The Indian army has done a good job at keeping the walking track open, avoiding boulders as big as buses; but the monsoon will hit Nepal soon, and the steep muddy tracks will again become unmanageable. This will cause significant problems, and with the latest earthquakes, perhaps the work has been in vain. 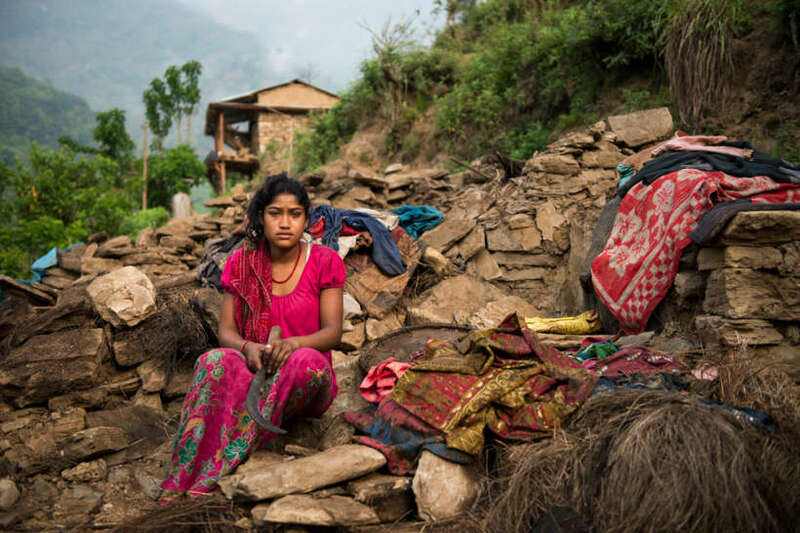 Getting aid to these hill-top towns and villages is going to remain a priority, and mother nature is being particularly cruel this summer in the middle hills of Nepal. I was with an ex-Gurkha, Major Govinda Gurung MVO MBE, who works for the Gurkha Welfare Trust field arm based in Pokhara, which as the second biggest city has so far been affected only minimally, despite the tremendous shaking and numerous continuing after-shocks. The climb to Barpak was also very hot. The sun was blazing in that pre-monsoon way, and the temperatures were approaching 30 degrees. One of the significant rest points for people travelling between Barpak and the villages towards Gorkha is called Mandre, at 1400m. It used to be very welcome. 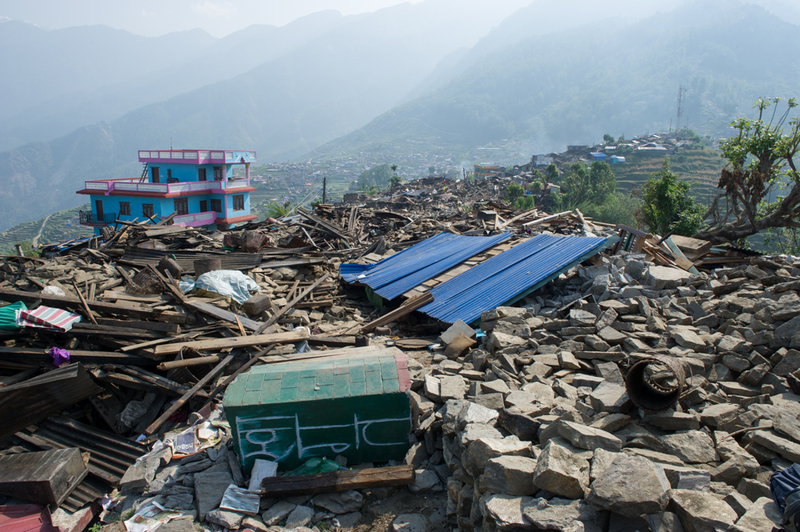 This village is now entirely rubble; the primary school now flat. 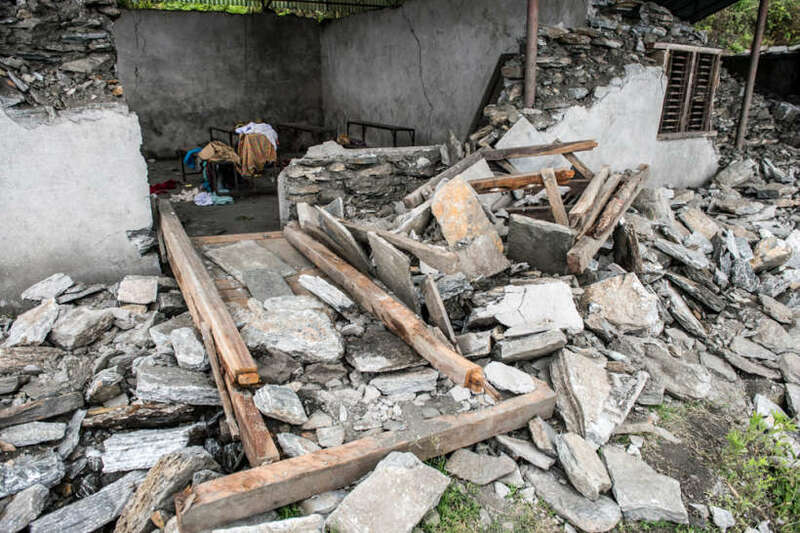 If there is one fortunate story from the first large earthquake is that it hit just before midday on a Saturday, when no children were at school. At that time, most people were out of their houses, tending their animals or land. If it has hit at nighttime, or a school day, the death toll would have been far higher. 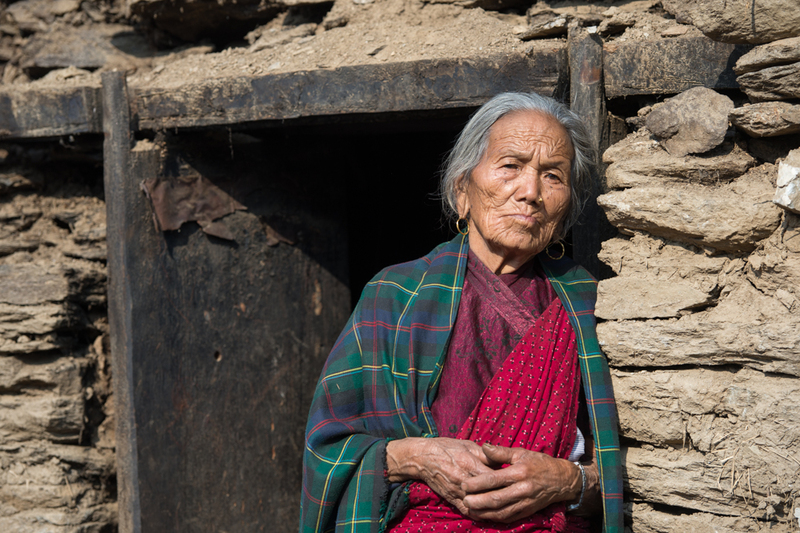 Major Govinda and I had gone to Barpak to see the effect the earthquake had on those ex-Gurkhas, or their widows, who were still living in this remote but once beautiful town. 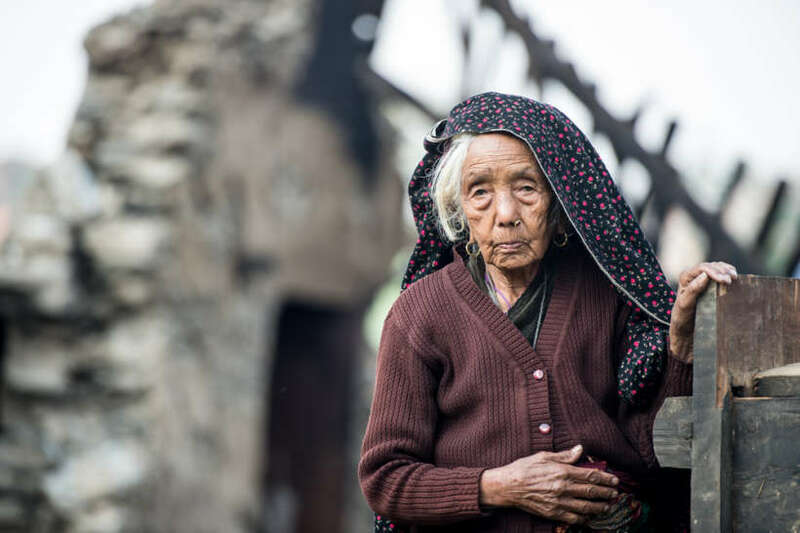 The Gurkha Welfare Trust (GWT) gives a welfare pension and provides free medical care to those old soldiers who fought for the British Army, but did not serve long enough to qualify for a normal military pension. In times of real need, they give a hardship grant or rebuild houses, so they can continue to “live out their lives in dignity”. In these Gurkha recruiting areas, the GWT might also provide schools and water projects for entire communities. We found the people we were looking for, and most had survived without injury, but everyone of them had lost their house. In fact everyone in the town and the villages surrounding had lost their houses. Some aid was getting through, in the form of tarpaulins, and some medical teams, which were being very well received and put to good use. What is incredible is the generosity. The people here have pretty much lost everything (indeed many goats, chickens and buffalo were killed in the quakes) and yet, everywhere we went, we were offered food and drink. We had our own, of course, so with some difficulty, politely refused. I met a Malaysian psychologist up there with a three-doctor team providing aid from Kuala Lumpur. She told me that she had never seen a people respond to such catastrophe like this. We stayed a couple of days. In that time we also witnessed the death ceremony taking place of an ex-Gurkha who had been killed in the earthquake. His son (also an ex-Gurkha) had travelled from the UK to partake in his duties. But because of the amount of people killed and the problem facing every single person up there, the event was a simple affair – a matter of necessity over ceremony. We also saw a great deal of hope. 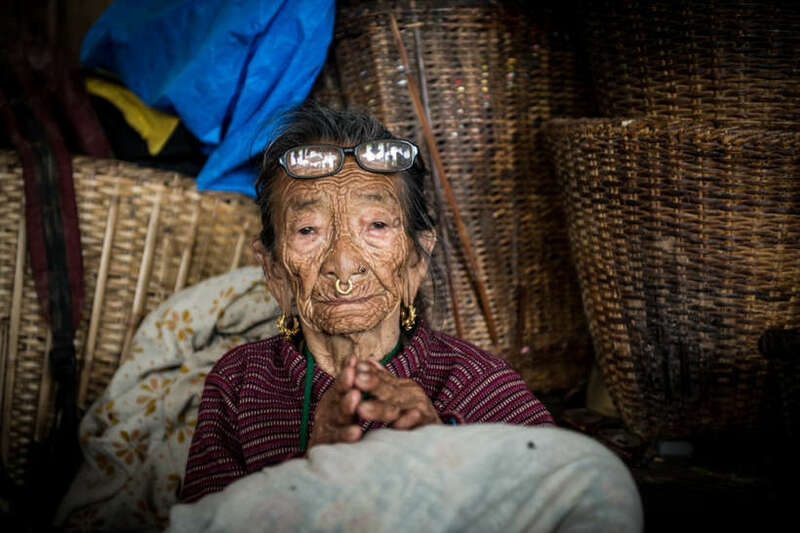 People, particularly those fortunate enough to live away from the narrow streets that used to form the centre of Barpak. Very quickly, stakes were going into the ground, and new structures being built. This time without heavy but dangerous slate tiles on the roofs, but tarpaulins to shelter from the inbound rains. Govinda and I then headed back down to the bottom top start a new trek to a new village on a different hill. 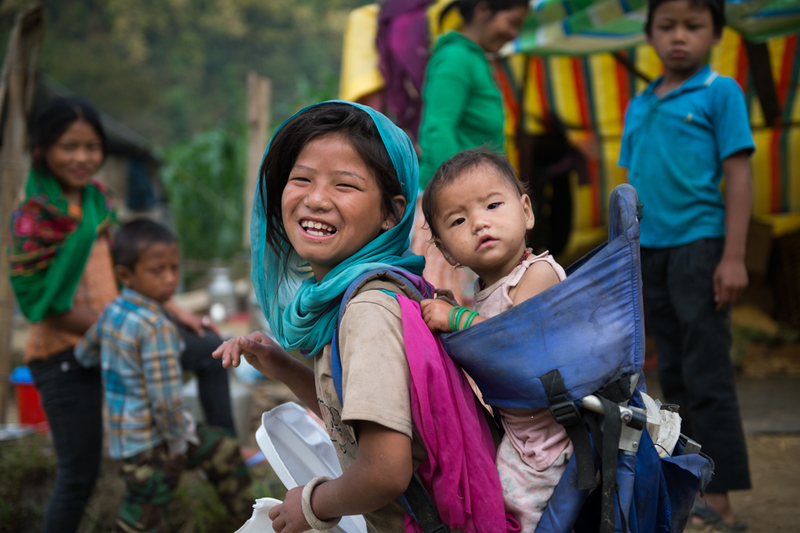 Not as big or important as Barpak, Milim was a ridge village with school. In many cases, the situation here was worse. Quite a few killed in their houses, and virtually no building standing; certainly no building safe to move back into. The school was completely flat too. And yet, in amongst this desperate scene, those survivors were rummaging through their belongings, salvaging what they could and starting anew. 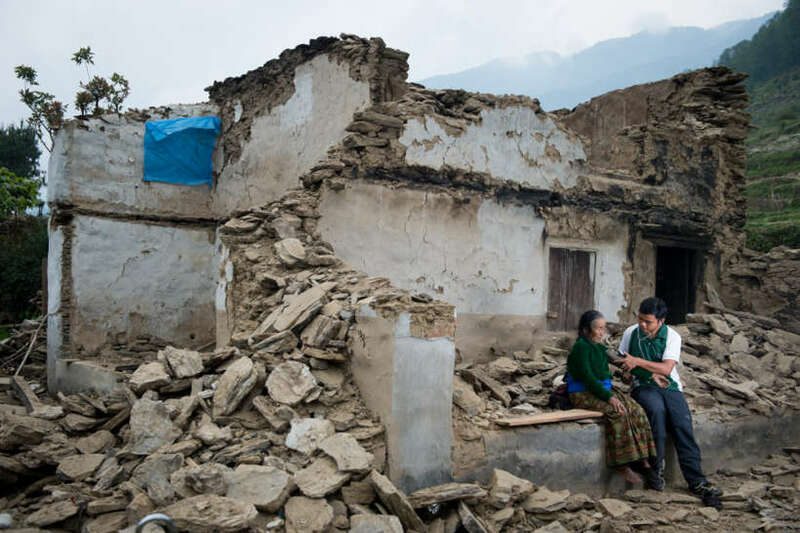 In the Nepalese language, there is an often used saying when the situation presented is just something the must get on with…”Ke Garne?”, or “what is to be done?” The shrug of the shoulders and the nod of the head, then all hands to the task of rebuilding their lives. 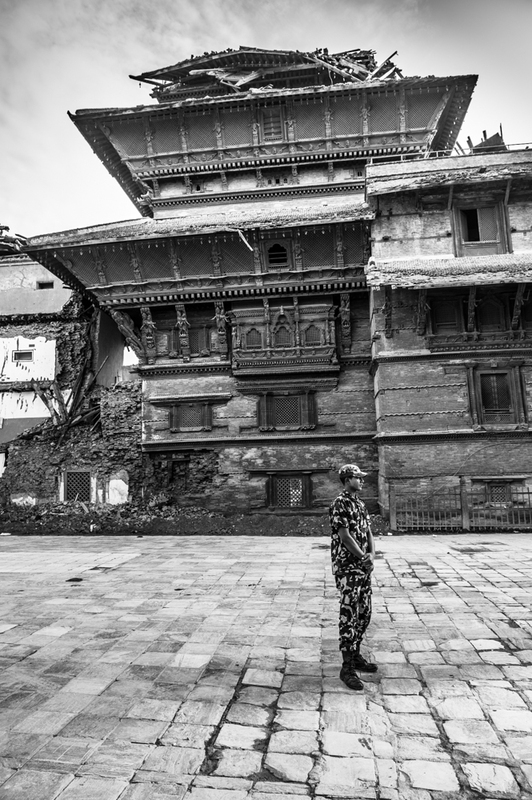 After this, we made our way slowly back to Gorkha, and then Govinda and I parted company – he headed West to Pokhara, and I headed east to Kathmandu before flying home. 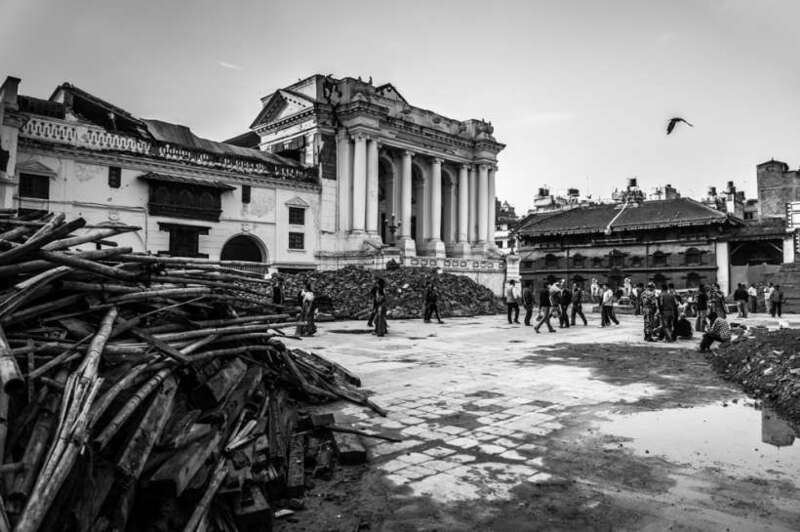 I did have a chance to take a look at the mess Kathmandu is in, and it is so sad to see the old temples at the Durbar Squares in a state of collapse and ruin. After all, “Kath” means “wood”, and “Mandir” means “temple” hence the name of “wooden temples” for “Kathmandu”. 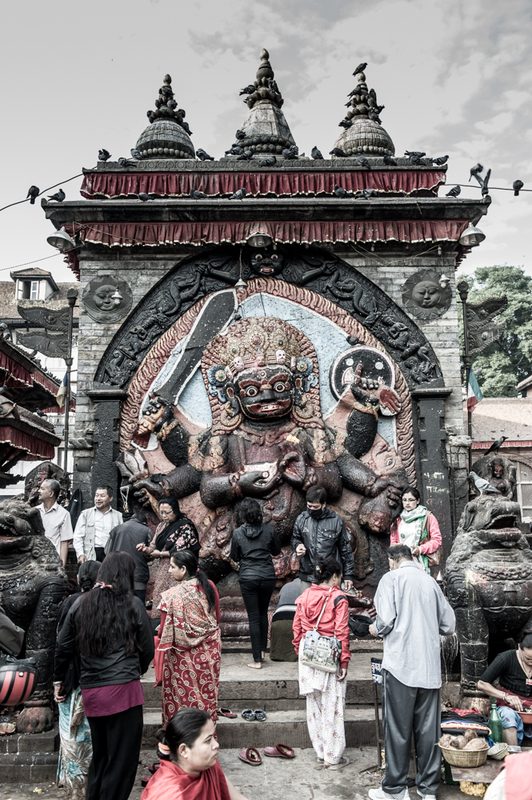 It will be reborn in that Nepalese way, but it will need significant help from international donors to get over this particular disaster. 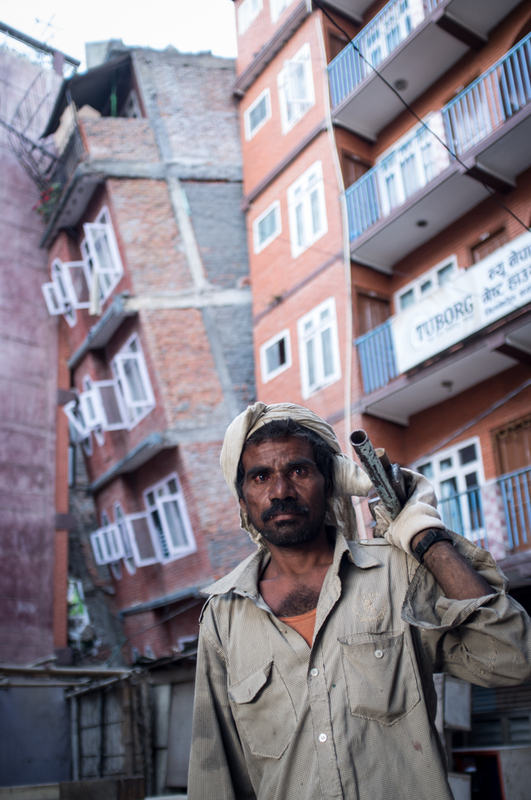 It will take a great deal of time and careful planning to properly fix Kathmandu. 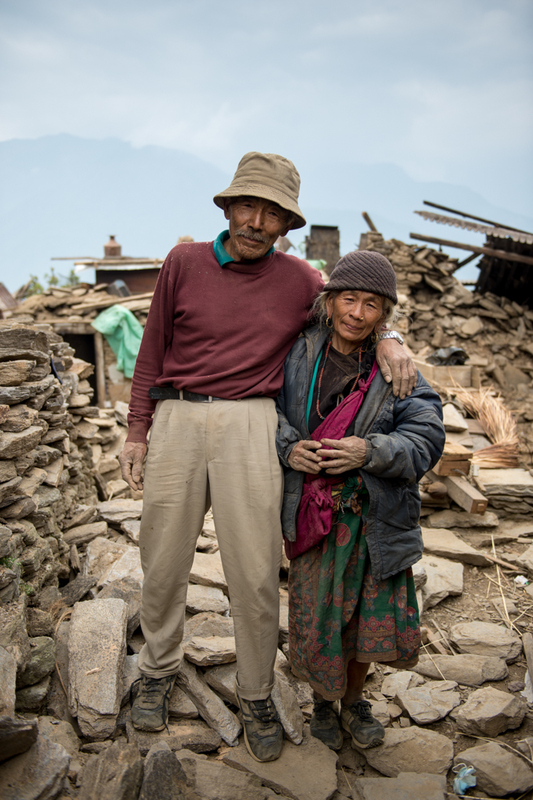 The incredible work of the Gurkha Welfare Trust can be supported here: https://www.gwt.org.uk/donate/earthquake – brilliant for those rural communities and the people we owe a huge debt to. Kathmandu is a different thing altogether. So, Ke Garne?